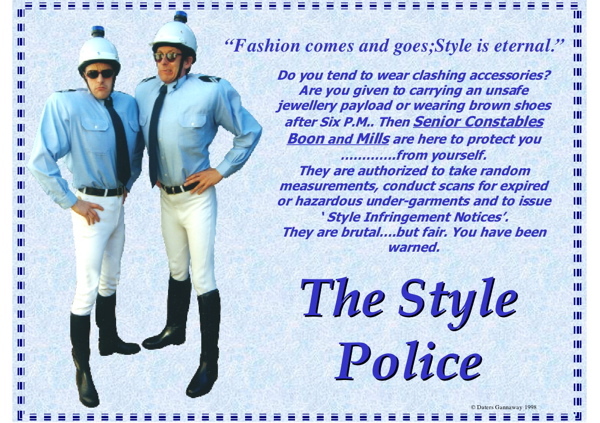 These unflappable guardians of public decorum ruthlessly police style , elegance and colour co-ordination. They conduct random testing for sub-standard underwear and excessive body piercing as well as jewelery overload and offensive designer labeling. Written, on the spot cautions are given as well as stamps of approval.